Ryedale Mumbler online resource for parents. Ryedale is a fabulous place to raise a family - and now a local mum has launched a website to make sure everybody knows. 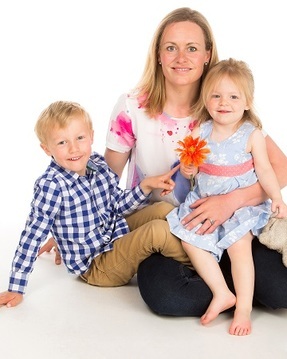 Sarah Jane Barker (SJ), launched Ryedale Mumbler in April to bring parents together and show them the region's most family-friendly attractions and facilities. From listings of local classes to jobs for parents, offers, reviews and buy and sell pages, Mumbler also provides a friendly, supportive community for people to connect, with a Facebook chat page, Twitter and Instagram. SJ, mum to Henry (five) and Eliza (two), has lived rurally most of her life and understands how hard it is to find trusted parenting resources. 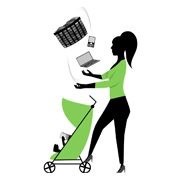 'Ryedale Mumbler is proving to be an invaluable resource, bringing everyone together – parents and businesses alike.' says SJ From the best places to enjoy ice cream or afternoon tea to favourite places to go paddling or things to do on a rainy day. Mumbler has a hyper-local focus and feel. SJ had found hidden gems, the most child-friendly places to eat, and local mum's favourite dance classes, swim schools and baby groups. It includes healthcare information, such as midwife and health visitor clinics and maternity news, and trusted tradesmen details with reviews by fellow Mumblers. 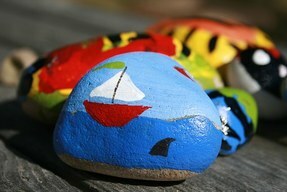 Or maybe join in the latest craze of hiding Stones around Ryedale, run through the Ryedale Mumbler Chat Group. There are also regular meet ups, activities and nearly new sales. There are loads of opportunities to advertise with Ryedale Mumbler. You can have a basic listing for free with more visible listings starting at £10 a month. Or perhaps you have an employment position to fill, why not list on our “Jobs for Parents” page.